Welcome to the Reading Hockey Camps page. Camps are held regularly throughout the year catering for 6-17 years old. NEW for 2018/19: READLINGS, GOALKEEPING & PERFORMANCE PLUS camps - more detail on these camps is shown below. Reading HC are lucky enough to have current Internationals and 1st XI players coaching on the Classic, Performance and Performance Plus camps. 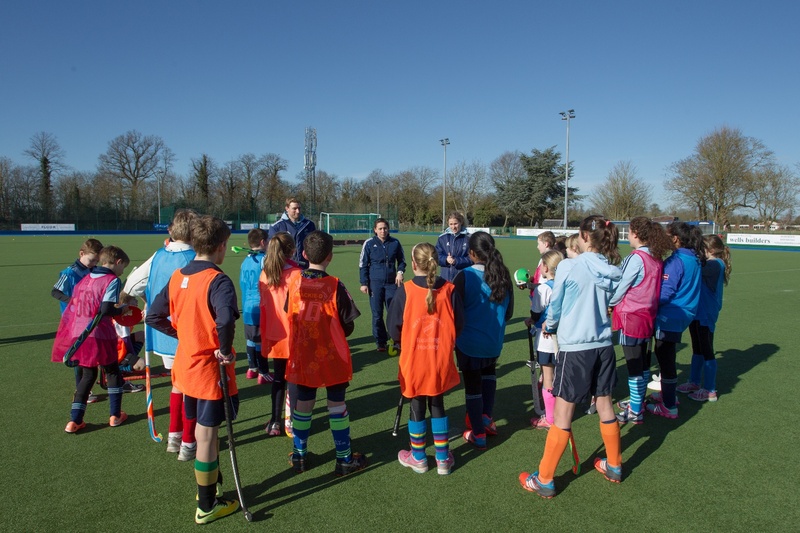 Our coaching line up across all the camps also includes coaches who have come up through Reading Hockey Club’s Young Leaders Programme. With such a talented coaching line up, you will go away having improved your skills and game play. We have introduced specialist GK camps during every Camp week. GKs are also able to join Classic camps. Booking form links are shown at the bottom of this page. If you are not sure which camp to book, please call Camp Admin on 0771 001 9259. Booking forms are released nearer the time of each camp. Classic camps are provided for ages 7 to 16 with the NEW Readlings Camp catering for 6 year olds. The coaching team assess age and ability of the Classic Camp players in order for them to get the most from their hockey camp experience. General GK coaching is also available over the camp. Performance camps run over a 2 day period and are suitable for players that have been playing at County Junior Academy Centre (JAC) level or above. Minimum age 13. NEW Performance Plus camps run over a 2 day period and are suitable for players that have been playing at Performance Centre or aspire to reach Performance Centre level. Ages considered 16 and above. All the camps are a great way for players to develop their skills and learn more about hockey. All abilities are welcome, so why not pick up a stick this holiday and join us! Parents/Guardians are expected to drop off and collect children at the beginning (Camp registration 9.30am) and at the end of camps at 4pm. Performance Camp (EPC), Performance Plus (EPPC) and Goalkeepers (EGK) – Thursday 11th and Friday 12th April. How much does the CLASSIC & READLINGS* camp cost? How much does the PERFORMANCE, PERFORMANCE PLUS AND GK camps cost? by sending a cheque (payable to RCHC Camps) with the player's name and camp reference (eg J Bloggs SCC3 for the Summer Classic Camp 3 in w/c 5 August 2019, or JBloggs SUMMER for multiple summer camp bookings) written on the reverse to Reading Hockey Club, Sonning Lane, READING, Berkshire, RG4 6ST. Please mark your envelope FAO Judith Barton Colts Section. All details can be found on the booking form. Please ensure you check the prices below and click on the link to the booking form for the type of camp you wish to book (Classic/Readlings or Performance/Performance Plus camp). How do I contact the administrators of the camp?